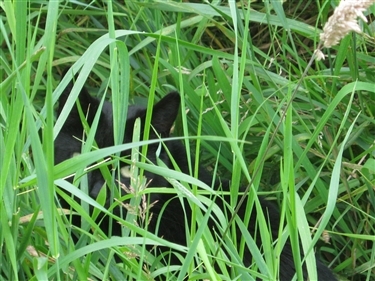 Black cats are very often overlooked when potential owners come to look around the centre. To date here at Derby Adoption Centre, of the 194 cats and kittens looking for new homes 107 are black or black and white, unfortunately their stay in the centre can sometimes be many months longer than other cats. To highlight this issue, Cats Protection is holding a Black Cat Awareness Day on October 27th and is running a media campaign on the same day. There are lots of ways that you can help us to achieve our goal on the day and one of them is to follow Cats Protection on Facebook, Twitter and Flickr. There is a video on YouTube of Billy Noir-Mates that will tug at the heart strings without a doubt and also a chance for you all to upload your photos of your own black cats on the 27th. This day will give us all the opportunity to highlight the need for new forever homes for all the cats in our care regardless of their colour, and allows all of you guys the opportunity to help in your own way. Here at Derby Adoption Centre we will be highlighting the black and black and white cats we have looking for homes by extending the event over the weekend of October 29th and 30th, we're open 11am until 3pm and refreshments will be provided.